It just occurred to me that despite not much going on the garden, there is in fact, heaps going on in the garden. Summer has hit Melbourne after what seemed like an endless cold and rainy Autumn. Today was 23° Celsius and Sunny, yesterday was 33°, next Tuesday 14th is 42°, Wednesday 41°, Thursday 43° etcetera. So all there is to do is to prepare the soil for what’s coming, and hope all that hot wind doesn’t stress out the trees or the chickens too much. One of the chooks went blind a few weeks ago (a future post for sure), and don’t really want to see any other weird outcomes as a result of a heatwave. So what is going on the garden? It just so happens that most of the photos I took today had a theme of rebirth, or new birth. So here goes. 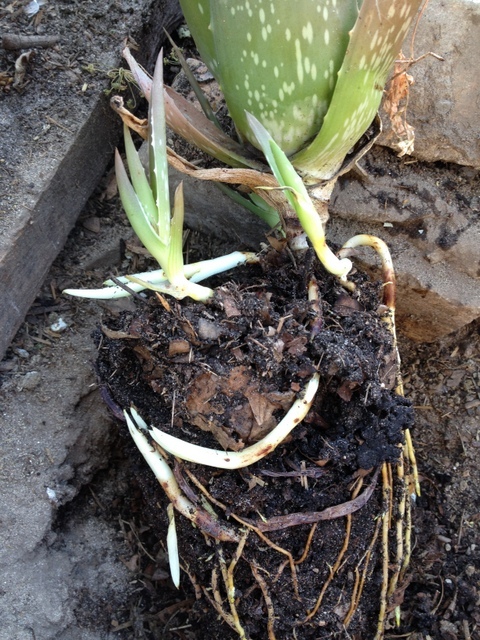 This image below is from an Aloe Vera plant that had until yesterday been in a tallish terracotta pot. The pot got too small so the plant went out into the garden proper, and you can see how it shoots those suckers out. This is great way for spreading lots of aloe around the garden, because I tend to use it frequently. 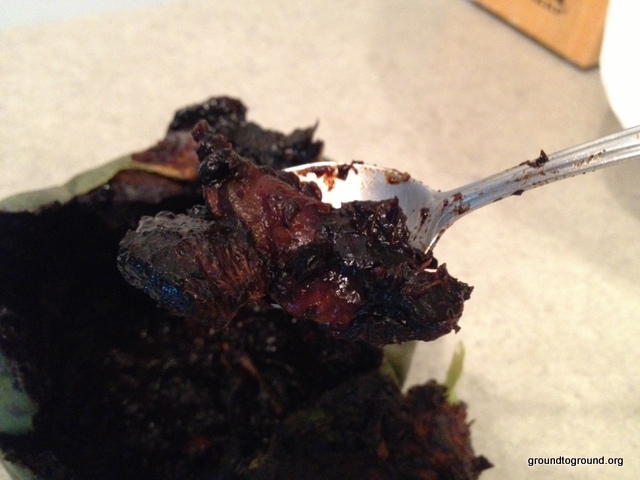 You just cut off one of the leaves and squeeze out the flesh, which is a fresher version of what you buy in the store. 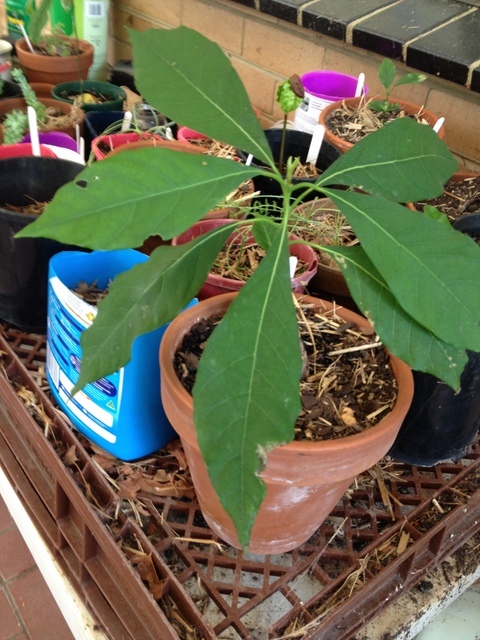 Another year, another avocado growing from seed. I think this one was just left in a pot over Winter and started to grow out a few months ago. Plenty of water in indirect sunlight will encourage growth. Might keep this one in a pot actually, even thought about bringing it inside for looks but that would ruin any chance of ever getting fruit off it. This amazing seedling is from a Black Sapote. 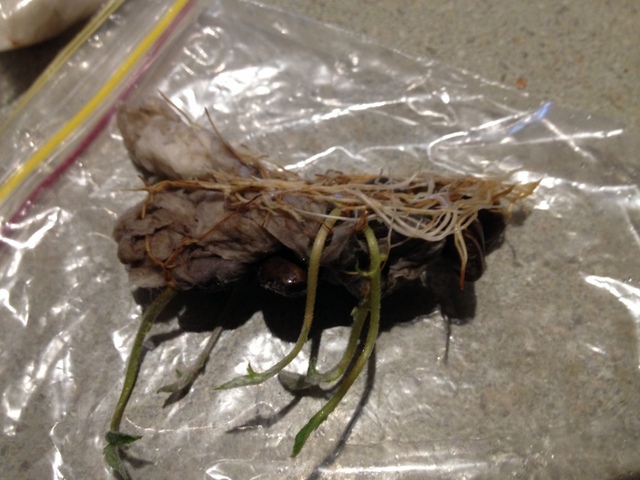 I pulled the seed out in Cairns about 6 months ago and it took all this time to sprout and grow enough to discard the shell. They are a damn tough seed to break through and it is really amazing how they do it. 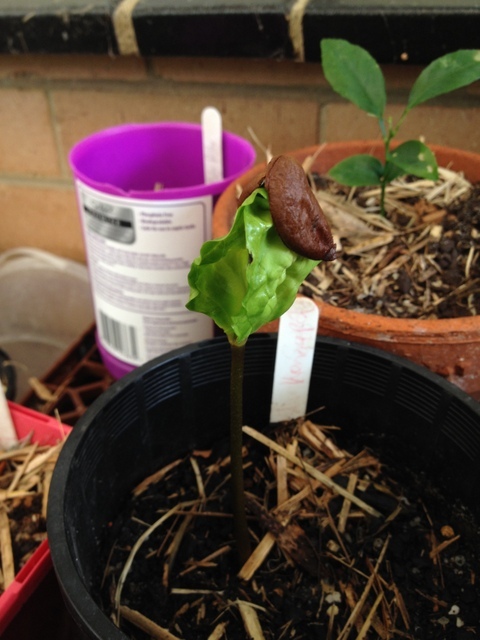 Similar to the avocado above, it takes time for the plant to fully emerge. Now I’ve seen some info that they can be grown this far South, and if it needs to go into the greenhouse then that is just fine by me. Ever see a Loquat tree? Very popular with gardeners out my way and well suited to Melbourne conditions. You get a mid-sized evergreen with lovely little orange fruits before Summer starts. A good gap fruit between the Apples and the Cherries! The photo below is from a handful of loquart seeds that have now germinated, after a month of so in a plastic baggie. You just wrap the seeds in a damp paper hand towels and place into the bag on a window sill, and if they want to grow that is how they do it. Once the roots have established somewhat, out they go into pots of their own. Not much to do with seeds, but there is definitely some rebirth here. 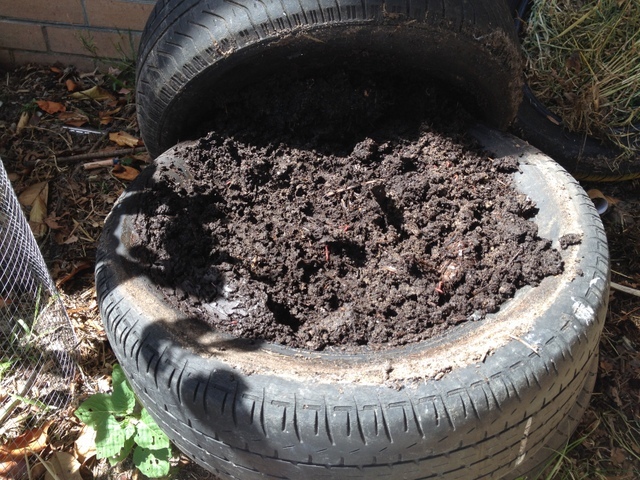 This mountain of vermicast was produced by compost worms, who converted food scraps and coffee grounds into a highly prized natural fertilizer. I’ve found that the best way to broadcast it is for the chickens to do most of the work. I just lay down a handful near my fruit trees and make sure the chooks see me doing it. They run over to eat the worms, and help spread the rest out and scratch it into the soil for free. Love ’em. So you see, there are many seedlings of Summer this year. How are you going with starting off new plants in your garden? Tags: garden, gardening, seedlings, Summer. Bookmark the permalink. It’s winter here in Maine, USA! We can only dream of seedlings at this point. I’d like to grow an avocado tree indoors, just for fun. Hi there Shelley, thanks for writing in. So sorry to hear about the cold, and yes that is going to hurt the avocado tree. Although, so folks do grow them indoors just because they are so beautiful. Why not then!